Everton hosted Liverpool on 3rd March in a Merseyside derby at Goodison Park. Every game looks like a must-win game for Liverpool to keep up against Manchester City in the title race. In the previous game against the Toffees at Anfield, Liverpool won the match by 1-0, owing to a horrible mistake by the English International, Jordan Pickford. Manchester City went to the top of the table yesterday after winning the match against Bournemouth at Vitality Stadium. So nothing less than a win was the requirement for the Reds to keep the one point gap at the top. Liverpool started the game as clear favourites to win this tie and put more pressure on Everton coach, Marco Silva. However, the 233rd Merseyside derby ended in a draw, with Liverpool now having four draws in the last six league matches. Just like the draw against Manchester United last weekend, the Reds missed a lot of clearcut chances and fared poorly in providing the clinical touch. Liverpool had a good amount of possession in the game but struggled to make the most of it. 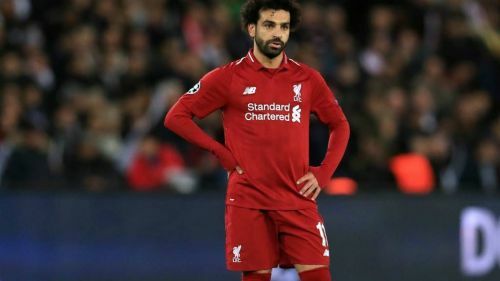 Mohamed Salah had some of the best chances of the game but he failed miserably in converting them. In the first half, he found himself one-on-one with the 'keeper, but his poor touch ruined the moment for him. He narrowed his own angle and made the life easy for Pickford. In the second half, another bad touch took the ball away from him and helped the defender Michael Keane to clear the danger. Pickford had a great game at the post as he made some crucial saves at key moments. The bad misses by Salah should not take away the credit of the brilliant goalkeeping from the Everton shot-stopper. The twitter went crazy and trolled Liverpool and Salah brutally for failing to win as City are one point ahead of them in the league now.